"You can recognize a small truth because its opposite is a falsehood. The opposite of a great truth is another truth." - Niels BohrI was thinking about Dante the other day and wondering how one could approach him from the angle of a GoodReads review. One of the obvious problems is that he lived a long time ago, and many of the cultural referents have changed. You're constantly having to think "Well, nowadays what he's saying would correspond to THAT". It isn't so bad in Hell, when there is plenty of entertainment to be had in seeing how the different sins are punished, and indulging your schadenfreude. Then Purgatory tells a moral story that's more or less timeless if you go for that sort of thing, but once you arrive in Paradise it starts getting seriously tricky. A lot of the stuff at first sight just seems irrelevant to the 21st century world... all these explanations about the mechanics of Ptolomaic astronomy, and Dante querying the inhabitants of Heaven on obscure theological points. It's notorious that readers most often give up somewhere in the third book. I started wondering if there was any modern-day author one could identify with Dante, and if that might help us connect to his concerns. And in fact, I do have a suggestion that some people will no doubt condemn out of hand as completely heretical: Richard Dawkins. Now of course, I am aware that Dante was deeply immersed in the Christian world-view, and Dawkins is famous for being the world's most outspoken atheist. But it's not quite as crazy as it first may seem. Dante was a Christian to the core of his being, but he was furious with the way the Church was being run; he put several of its leaders, notably Pope Boniface VIII, in Hell. On the other side, I challenge anyone to read "The Ancestor's Tale" to the end, and not, at least for a moment, entertain the idea that Dawkins is in actual fact a deeply religious man. He admits as much himself: as he puts it, it's often not so much that he disagrees with conventionally religious people, more that "they are saying it wrong". Amen to that.As noted, both Dante and Dawkins are extremely unhappy with the way mainstream religion is being organized. The other characteristic that unites them for me is this passionate love for science. One has to remember that, for Dante, Ptolomaic astronomy was state of the art stuff, and the details of the angelic hierarchy were a topic of vital importance; of course he cross-examines the hosts of the blessed to find out more. These days, I imagine he would be trying to get inside information on what happened during the Big Bang before spontaneous symmetry breaking occurred, whether or not the Higgs particle really exists, and how evolution produced human intelligence. For Dante, there didn't seem to be any opposition between religious faith and science - they were part of the same thing. I do wonder what he would have thought if he had been able to learn that many leading religious figures, even in the early 21st century, reject a large part of science as being somehow unreligious. It's wrong to spend your life dispassionately trying to understand God's Universe? I can see him getting quite angry about this, and deciding to rearrange the seating a little down in Hell.I keep thinking that there's a book someone ought to write called "Five Atheists You'll Meet in Heaven". Please let me know when it comes out; I'll buy a copy at once. **************************************PS I couldn't help wondering what Paradise might have looked like if Dante had been writing today. Obviously we wouldn't have the old geocentric model of the Universe - it would be bang up to date. I think there is now far more material for an ambitious poet to work with than there was in the 14th century. For example, when we get to the Heaven of the Galaxy, I imagine him using this wonderful fact that all the heavy elements are made in supernova explosions. "We are all stardust", as some people like to put it. Then when we get to the Heaven of the Cosmos, we find that the light from the "Let there be light" moment at the beginning of Creation is still around - it's just cooled to 2.7 degrees K, and appears as the cosmic background radiation. But it's not completely uniform, as the quantum fluctuations left over from the period when the Universe was the size of an atomic nucleus are the beginnings of the galaxies created on the second day. Finally, we reach the Heaven of the Multiverse, and find that we are just one of many different universes. It was necessary to create all of them, so that random processes could make sure that a very small number would end up being able to support life. How impious to assume that God would only be able to create one Universe, and have to tweak all the constants Himself! I once thought I'd write an essay on how long it takes a serious author (of fiction or nonfiction) before he or she inevitably quotes Dante. If I were to write a novel myself (this is a hypothetical grammatical construction! ), I'd probably manage about a page before I'd exclaim that I am lost, and middle-aged, and in the middle of a dark forest. I'd try to kill off annoying acquaintances and punish them severely for their lack of admiration for me and my creativity (not to mention my sarcasm and irony!! ), and of course I would meet my teenage love and be joined together forever in eternal happiness in the end (or maybe not, come to think of it, I might skip that part! ), after spending a life travelling the underworld in the company of the most brilliant author I can think of. Dante fulfilled all his (and my!) dreams with the Divina Commedia, and I envy him his bravery and talent, not to mention his ability to write in that beautiful Italian. However, not all parts of the poem were equally appealing to me.I found myself loving Inferno, liking Purgatorio, and not quite identifying with Paradiso at all.I always wondered why that is, and concluded that humans are much better at depicting hell than heaven, chaos than order, dystopia than utopia. Reason being, in my (not very important) opinion: there's no storyline behind real bliss, and without stories, we are not entirely connected to humanity and its questions anymore. Paradiso is nice, but uninteresting, sort of. "Lasciate ogni speranza, voi che entrate" - the ticket to hell: I doubt if there ever was a better advertisement for a rollercoaster adventure!Update in Year One Of Post-Truth Wall Building:I am still lost in that dark forest of middle age, trying to make sense of life, and Dante comes to mind more and more often, in the same way Orwell's 1984 does: it grows more realistic with every day that passes. This morning, "The Wall Of Dis" all of a sudden forced itself upon my thoughts, - the great wall separating Dante's Upper and Lower Hell. Upper Hell is for the Carnal, Gluttonous, Greedy, and Wrathful, whereas the other side of the wall contains the Heretical, Violent, Fraudulent and Treacherous. It just struck me that every wall in the world has created that kind of "mental division". The typical representatives of "upper hell", consumed by the everyday sins of wanting most of everything for themselves without being bothered by others, usually keep their "moral upper hand" by accusing the "other side of the wall" of worse crimes, such as the "wrong religion", violence, and treason.The funny (or sad) thing is that it works both ways. You can turn hell upside down and have the same results: egotistical, narcissistic angry men accuse others of treason and heresy to deflect from their own faults. No wonder Inferno is a timeless classic: after all, Dante based it on his own experience of a divisive, violent political situation. THE DARING, somewhat COMIC, and also DIVINE, INVENTIOIt is very difficult not to be lured by the highly intelligent craft of Durante degli Aliguieri (DA). And may be it is not a coincidence that he was the exact contemporary of Giotto, his fellow Florentine. For if Giotto planted the seed for a pictorial representation of the world in which man, at the center, and through a window, delivers to us a naturalistic depiction of divine stories, Dante also used his writing to posit himself as the Author who through his fictional persona or Alter-Ego, gives us the viewpoint to contemplate the full cosmos. His cosmos, but for us to share.Still, we modern readers, in spite of Modernist and PostModernist awareness, are still fooled by DA’s handling of illusion, and easily become pilgrims and start on a literary trip more than ready to absorb everything that DA wants us to see, and think, and believe.POLITICSSo, for example, we will learn his political views. DA was exiled in 1301 and led a peripatetic life, outside Florence, until his death in 1321. He wrote the Commedia during the exile, from 1309 and finished it in time. By masterfully welding the fact and mythologized fiction of the world of Antiquity, he cloths himself with the full robes of Auctoritas, and presents us the complex development of European politics during the thirteenth century. He summons his views repeatedly either by the succession of visits to the traitors or in fully developed historical pageants.Of course, Hell is populated by DA’s enemies, with the very pope responsible for his exile, Boniface VIII, holding stardom in Circle 8th. In this Inferno DA is the very Minos. He is the one who with his pen of many tails wraps around his enemies and throws them down the pit to the Circle that DA believes the chosen sinners deserve. Even if this spectacle horrifies his ingenuous Pilgrim.The ranking of the Inferno Circles reflect also DA’s values. Lust is the least damaging while Treason, in particular political treason and the betrayal of friends, is the most despicable. In comparison even Lucifer, a rendition that remains faithful to the medieval tradition, is not much more than a grotesque, and not particularly hateful, monster. Politics continue in Purgatory. DA’s audacity is again proved by the way he exploits to its fullest what was still a relatively new concept in Christian dogma (1274). If DA had been Minos in Inferno, he now is the discerning Cato of Purgatory. He is the one holding the Silver and Gold keys, and who claims to know the very intimate thought of those who had the luck to repent the instance just before dying. He awards then the transit ticket to Paradise. Can we be surprised if some of the awardees had some relation to those figures who had welcomed DA during his exile? DA’s authorial knowledge is supplemented by the granting his protagonist with the role of Messenger of Hope. The Pilgrim, as the only human in Purgatory, can bid for more prayers to the still living relatives when he goes back to Earth. He can effect a change in the duration that any purging sinner is to spend in the transitional stage, the only one of the three realms in which the clock is ticking.Could one expect DA to finally drop the political discourse in Heaven? No, of course not. There it even acquires greater strength since the discourse is cloaked with a divine mantle. In Paradiso it will be no other than Saint Peter himself who will denounce the path of degeneration that the Papacy had taken in recent years. And if Boniface VIII (died in 1303) had been repeatedly identified as the culprit for the evil in earth, now it is his succeeding popes, --and contemporary to the writing of Commedia--, who are selected by DA’s saintly mouthpiece. Pope Clement V was responsible for the transfer of the papacy to Avignon, and the cupidity of John XXII was for everyone to see. Indeed, a secluded Apocalyptical 666 attests that politics forms a triptych in Commedia. In agreement with the intricate framework of parallels, symmetries and balances in this work, DA devoted the three chapters 6 in each book to political diatribes.Apart from his relying on Ancient Auctoritas, DA also accorded the full weight of history to his views, and it is mostly in a couple of major pageants and in the Valley of the Kings that he exposes the political disaster that the withdrawal from the Italian peninsula by the Empire had on the various city states. It was left to the corrupt papacy and to the corrupt smaller kingdoms to spread crime along the full Europe. His solution was clear. The papacy had to govern only religious matters, and he extolled the Emperor Henry VII to hold the political reins of Europe. It is DA’s canonized Beatrice who has a reserved seat for this Emperor in God’s White Flower if he does succeed in exerting his salvific political role.DOGMABut the Commedia is not just about politics. This extremely complex work is also soaking in Christian Dogma. Of course politics and dogma were inextricably joined during the Middle Ages, and that was part of DA’s very complaint. And what is to me extraordinary about the immediate reception of Commedia, is that it was treated like Scripture. Even the early editions were illustrated like illuminated manuscripts—which in a way is most befitting if we remember that it is about the progress of a Pilgrim’s as he approaches Light and gains a 20/20 vision elevated tho the Trinitarian power.In his appeal to religious dogma DA was extraordinarily successful, even if some of his claims were shockingly daring. He modified or added realms to the Christian Cosmos, with the peculiar understanding of theLimbo to accommodate revered figures from Ancient Antiquity, or added the Pre-Purgatory for the unabsolved Rulers. He designed his own ranking of the Sins, both for Hell and Purgatory. But most importantly he proposed his understanding of Free Will and its conflicting relationship to Predetermination and God’s vision. Not by chance did he place the discussion of Free Will at the very center of the work, in Canto 16 of Purgatory.But the most dangerous proposition, for him, was his vehement defense of the limitations of the Papacy on Earth. He started writing in 1307 just a few years after the Papal Bull of Unam Sanctam the very controversial claim of papal infallibility. Not this book, but Dante’s Monarchia, in which he strongly attacked official tenet, was burned soon after Dante’s death and was included in the list of forbidden books during the 16th century.NARRATIVE SCHEMESTo us, however, it is not his proclamations on Dogma, and not even his political views (except for historians), which offer the greatest interest. What is most remarkable for literature addicts is how DA, the author, develops all these themes, and succeeds in weighing with the gravest authority his poetic treatise. And this he does through his masterful manipulation of the power of fiction and the sophisticated uses of voices.For a start, there is the protagonist: DA’s Alter Ego, and the only human in the full work. His humanity, and his being in the middle of the moral mess in which he has placed himself is the perfect mirror for the reader. But we can trust him to embody us because Virgil, the greatest Roman poet and chronologist of the foundation of Rome, will guide us. We can trust him also because Christian Divinity has selected him as the, temporary, guide. It is only when Virgil’s powers have reached his limits, two thirds into the full work, that the pilgrim’s identity is revealed to us. He is Dante himself, or Dante the Pilgrim (DP). With his revealed identity he can say goodbye to the pagan guide who cannot, alas, have a place in Heaven. Dante, however, will.The spoiler provided by our general culture has damaged the way we read the work. The astounding pretention of DA in assigning himself the powers in deciding who goes where in his system of divine retributions has been blurred to some naive readers. Some of them try to excuse Dante precisely because they have been entirely convinced by his acting puppet. The highly successful Dante the Pilgrim (DP) as a candid personality with the qualities of kindness, fear, anger and similar emotions, distracts our attention away from the real Dante, the Author.The Pilgrim is an alibi mechanism for his creator. He shows pity for the people DA condemns. He can go beyond the Terrace of Pride, in which the rather proud DA may be still spending some of his time. And he becomes the anointed messenger from the Heavens to deliver to us what DA is writing. But we would also be mistaken if we did not recognized that not always him, but many other characters voice DA’s opinion. His brilliant dramatization with innumerable personages constitutes the choir of a ventriloquist. In the sophisticated Narrative technique, the handling of time is also magisterial. Apart from the symbolic unfolding of the action during Holy Week of the year 1300, and the references to eternal cosmic time, it is the numerous voices of this clever ventriloquist who continually foretell what is to happen to the sinners. Most outstandingly the voices predict the eternal condemnation of DA’s particular enemies. Some of these were not yet dead at the time of the pilgrimage, but had already passed away when DA was writing his poem. Such an example is the premonition that the most hated pope Boniface VIII will be damned. He died three years later. But there is also the shocking case of the soul that is already in penance while his body is still living on earth. This personality died even after Dante.Finally it is DP himself, once he has entered Heaven, who engages in this foretelling, and of course, it had to be in his warning to the Popes that were about to be in power in the years after the voyage of the Commedia, reminding them to stay out of politics and to forget material wealth.The suitability of DP as our Alter-egos to reach salvation is certified by his examinations on the Theological Virtues by the the Apostles Peter, James and John. He passes them with flying colors, because DP acknowledges that his knowledge is based on the Holy Text.And it is also with Text, and DA was very well versed in exploiting its four levels of interpretation (Literal, allegorical, moral and anagogical), that is, with this new poetry that Dante Aliguieri is proposing a plan for his, and our, salvation. Because after such a heavenly Graduation who can deny the Commedia its status as Prophetic and Scriptural? May be we saw it coming, when the still anonymous Pilgrim posited himself, at the very beginning of the poem, as the 6th greatest poet after the likes of Homer, Ovid, Virgil etc. So, may be it is not by chance that his identity as Dante is revealed until Virgil is used and expensed.Several other poets also populate the triptychal poem: representatives of the two pioneering schools of Provençal and Sicilian schools, as well as by those Florentines who with or just before DA, started formulating the sweet new style (dolce still novo) and exploring the literary possibilities of the still vernacular Tuscan tongue. But if DA has been exploiting his abilities as ventriloquist, it is with his own voice as a poet that he makes a presence in Commedia. A few of his fictional characters quote some of Dante’s earlier verses.Having reached the Empirium of the poem, we can stop and think about where Dante Alighieri has taken us. Because, even if not eternal salvation, he has delivered us a most extraordinary feat of literature that we cannot but qualify as divine. Furthermore, he has done so in a newly coined language, to which he added some words of his own invention, and, most outstanding of all, he positioned the Author at the very center of that literary White Rose of fiction.And this flower continued to exude its rich scent until, in a similar process to the displacement of Giotto’s viewer, Roland Barthes, plucked it in the declaration formulated in his 1967 Essay The Death of the Author.But before that, it had a long life. الكوميديا المقدسة، إحدى أعظم نتاجات الأدب الإيطالي والأوروبي عامة، والتدشين الأكمل والأكثر تعقيداً وروعةً للمزيج الذي صبغ أوروبا في كل صحواتها من سبات التاريخ، منذ قسطنطين إلى عصر النهضة وحتى الراهن، مزيج الميثولوجيا اليونانية واللاهوت المسيحي.هذه الكوميديا موسوعة معارف وملحمة شعرية ولهيب رائع لوجدان نادر.قرأتها -على مراحل متباعدة- بترجمة السوري حنا عبود، لا عن قصد مسبق وإنما حصل لي الكتاب صدفةً، وهي ترجمة رشيقة ومنسابة بحكم انحياز حنا عبود -كما أعلن في المقدمة- للسرد والتصاعد الدرامي للكوميديا على حساب الشعري والمجاز الملحمي.وهي الترجمة الثانية -تاريخاً- بعد ترجمة المصري حسن عثمان، والعراقي كاظم جهاد، وثلاثتها ترجمات ثمينة، ولكلّ ميزتها، وإن كان الاحتفاء الأكبر حظيت به الأخيرة.وبين الجحيم والمطهر والفردوس، يجمع قراء الكوميديا ونقادها على أن الجحيم أجمل أجزائها وأكثفها بالدفق الوجداني واللهيب الشعري العالي.في قاع الجحيم يُرمى أعظم العصاة الخاطئين, وأشنعهم عذاباً في مملكة الألم الأبدية, وفي هذا القعر لا ترى اللهب وإنما بحيرة الزمهرير كما يصفه دانتي, هناك يرمى الخونة, لأنهم فقدوا في حياتهم العاطفة, تخلّوا عن الدفء, فكان عذابهم لا لهيب النار وإنما برد الزمهرير الذي يشبه أرواحهم. بين تلك الأجساد التي اقتحمت الشياطين أرواحها, مغرقة في الجليد حتى الأفئدة, بينما أبقي أعلاهم مشرعاً لليباب, بوجوه محنّطة بالصقيع, جُمّد فيها مسار الدمع من المآقي, حتى يبقى الألم هناك, في الجوف الذي لا قعر له,في الداخل المعتم المكتظّ بالألم والوحشة. يتضرّع أحدهم لدانتي أن يمسح خيط الجليد ليمكنه أن يتحرر وينعتق بالبكاء, ليستردّ روحه بالدموع, ولو محض ثانية قبل أن تردّه الإرادة العليا جليداً, ولكن دانتي يتركه ويمضي. كان أقسى عذاب في مملكة الألم ألا يستطيعوا البكاء, ألا يكون لهم دموع.في ضريح رمزيّ لشاعر إيطاليا الأعظم دانتي اليغييري , في مدينته فلورنسا, التي نفتْه في الخلافات السياسية التي اصطلت بها , و رفضت حكومتها -و كنيستها- أن يعود إليها إلّا بعد أن يكتب رسالة اعتذار و يمشي حافياً ذليلاً على مطلع من الناس كعلامة على الندم, رفض دانتي ذلك طبعاً حتى مات بعيداً عنها في المنفى في طريق سفر التهمته فيه الملاريا, قبل أن يكتشف الأوروبيون عبقريته بعد وفاته بعقود من خلال الكوميديا الإلهية, الأثر الأدبي الكلاسيكي الأعظم لأوروبا ما قبل النهضة. في هذا الضريح , تجد تمثالاً لفتاة تحني ظهرها و تبكي على القبر الرمزيّ للشاعر العظيم ...أبو اللغة الإيطالية كما سمّوه , هذه الفتاة هي فلورنسا ,في علامة على ندمها على ما صنعتْه لدانتي , و كأنّها تطلب الصفح منه . كثير من هذه المدن تحتاج فقط أن تعود -كما كانت- فتاةً ... و تبكي على أبنائها و عشاقها الكثيرين الذين ملؤوا المدافن و المنافي و العتمات. Símbolo inequívoco de su época, esta obra de arte inmortalizada en letras, es un legado universal que Dante nos dejó para siempre. Clásico de proporciones épicas que disfruté de principio a final. Algunas consideraciones:Mucha gente lee La Divina Comedia interesada solamente por el Infierno, y no es para menos. Si alguien tiene la inmensa suerte de leer la edición ilustrada por Gustave Doré, llega al Paraíso como si acompañara a Dante buscando a Beatriz. El Purgatorio es tan, pero tan bueno, que me atrapó. Dante describe los siete pecados capitales de forma tan maravillosa... El Paraíso es el la parte que menos gusta. Muchos la consideran tediosa y de una carga teológica muy alta (bueno, estas eran las convicciones de Dante en la época).Es cierto también que por la obra desfila una larga galería de personajes que no conocemos, por eso, es muy importante contar con una edición que contenga notas aclaratorias, sobre todo de orden histórico más que mitológicas o alegóricas.La elección de Virgilio no está hecha para nada al azar. Sólo un poeta de ese calibre podría haber acompañado a Dante al Infierno. Recordemos la brillantez de Virgilio para retratar el descenso de Eneas, quien también baja a los infiernos para ir a buscar a su padre Anquises, en el sexto capítulo de la Eneida.Yo leí una interesante edición de La Divina Comedia, publicada por Editorial Losada en tres libros, con el agregado de aclaratorias notas adicionales.Es menester leer La Divina Comedia junto con el Fausto de Goethe y El Paraíso Perdido de Milton, cuando de clásicos de esta naturaleza se habla. Aclaro algo: no soy religioso, ni intelectual ni estudioso de los dioses o lo que pasa antes o después de la vida y la muerte. Leí el libro y lo encontré muy bueno.Leí la obra en un solo libro, pero no sabía que estaba dividido en 3 partes. Al parecer, Infierno es la obra más conocida, y no es para menos, pero vale la pena leer todo.Mi cabeza voló y voló con tanta información e imaginación en mi cabeza, el camino en el purgatorio, una vez estando en este, etc. Un viaje maravilloso y un libro muy denso para leer.No me sorprende la importancia que tenga Dante ahora después de haber escrito tamaña obra.¿Recomendable? Hay que ser abierto de mente para leerlo, no hay que ser ni fanático religioso ni fanático ateo. Un poco de mente amplia y objetiva, y les aseguro que disfrutarán muchísimo esta lectura. Son de esas que hacen bien para el ejercicio de la mente. Plumbing the crucible of happenstance.I should give a quick intro and say that I rarely EVER, EVER re-read a book. I should also mention that 3 years ago I had never cracked Dante's Divine Comedy. Now, I am finishing the Divine Comedy for the 3rd time. I've read Pinsky's translation of the Inferno. I've read Ciardi. I've flirted with Mandelbaum and danced with Hollander, but from Canto 1 of Inferno/Hell to Canto XXXIII of Paradiso/Heaven, I can't say I've read a better version than the Clive James translation. He replaced the terza rima (**A-B-A, B-C-B, C-D-C, D-E-D-E-E** a measure hard to write without poetic stretch marks in English) with the quatrain, and in doing so made the English translation his own. It gives the Divine Comedy the verbal energy and the poetry that makes inferior translations a slog and makes Dante so damn difficult to translate well. A mediocre translation might capture the stripes but lose the tiger. Clive James pulled off a master translation of one of the greatest works of art in any medium -- ever. أرجأتُ الشروعَ في قراءةِ هذا السِفر المذهلِ طويلاً. كعادتي/كعادتنا كنتُ ألتمسُ لهذا التكاسل المتطاولِ عذراً .. أملاً في اقتناصِ فرصةٍ مناسبةٍ أو مزاجٍ رائقٍ أو صباحٍ ماطرٍ أو أمسيةٍ شاعِرة. وَلم أدركَ أن أعذاراً كهذه لا تليقِ بغيرِ الأعمال العابرة الصغيرة.. تلكَ التي نجترُّ أحداثها بتململِ قطّةٍ متطلَّبة. أمّا إنجازٌ كـ"الكوميديا" لا تملكُ عندهُ إلا أن تنفكَّ قهراً من عوالمك الرتيبة لتقعَ في ثراءِ عوالمه الآسرةِ وكثافتها وتباينها المدهشين. سيهبط بكَ دانتي من غفلةِ "اليمابيسِ" إلى منازلِ الجحيم.. وَمروراً بعتباتِ المطهرِ يعرجُ بروحكَ إلى مراتبِ الفردوسِ سماءً سماءَ.. وَأنشودةً أنشودة، ترنيمةً كانت أم تضرّعاً، ابتهالَ متطهّرٍ أم تسبيحَ قدّيسٍ أم شهقةَ ملعون.. ستُصغي فسمعكَ اليومَ "حديد". "عملٌ يكثّفُ لحظةً مفصليّةً من تاريخ إيطاليا وَالعالم، ومن صراع الكنيسة والدولة، والعقل والإيمان، وَالشرق والغرب، كما يبلور تجربةً شخصية ندر أن عرفنا ما يضارعها في الشجاعة والعمق ومواصلة المغامرة الروحية والشعرية حتى أقصاها" ص. 15كوميديا دانتي الإلهية تتجاوز الكوميديا بما هيَ خِفّةٌ وَدُنوَّ شأن، فإن صنَّفَ ابن فلورنسةَ منحوتته الفريدة – التي استغرقته ما يقارب الثلاثة عشر عاماً – بمقاييسَ أرسطيّةَ لعاميّةِ لغته أو لمختتمِ متنه، لا يغيبُ عن أيِّ قارئ أن ما بينَ يديهِ رحلةٌ مضنيةٌ أشبه بتسلِّقِ جبال الأولمب للُقيا الآلهة أو بامتطاءِ البحرِ في مغامرةٍ عوليسية. دانتي لم يخلق الإيطالية بحبرِ ريشتهِ فحسب، بل أعادَ نضدَ العوالمِ الأرضية والأخرويةِ، وَأيقظَ حواسَّها على جواهرِ السمعِ وَالبصر. جعلَ دانتي من حُبِّهِ لـ"بياتريشي" مأثرةً كونيّةً استدعى لها أرواحَاً وثنيةً ومسيحيّة – من فيرجيليو حتّى توما الإكويني -، وَبرأَ ظواهرَ فيزيائيةً وَأسطورية، وَسخّرَ زمانَ الرومانيةِ - قبل المسيحِ وَبعده على حدٍّ سواء – ليمجِّدَ هذا المُنجَزَ العظيمَ وَيختطَّ لمبدعهِ مقاماً أعظم. "إن ابن فلورنسة يعمد إلى قراءة مجهرية لأدنى تفاصيل تجربته في أبعادها الذاتية والتاريخية، الواقعية والخيالية. من هنا قيل عن عمله إنه أكبر تظاهرةٍ فنيةٍ للذاكرة. تُقبل المعطيات إليه وتسعفها على الفور بنْيات لغةٍ ناشئة أضاف لها هو الكثير فيما يكتب، مثلما قيل إن قوافي اللغة الإيطالية كانت تأتي إليه راكضة وتروح تتوالد تحت بنانه." ص. 122أمَّا الجهدُ الذي بذله المبدع "كاظم جهاد" ليُخرِجَ للعربية مَتناً بهذه القوّةِ وذا التماسك، فحريٌّ بأن نرفَعَ له العمائمَ وَالقُبَّعات. المترجمُ لم يكتفِ بحدودِ الأصلِ، بل جَهُدَ ليطّلعَ على مختلف الترجماتِ سواءً الصادر منها باللغة العربيّة أو بما كان في متناول معرفته من اللغات الأخرى. كما أمدَّ ترجمتهُ بحواشيَ مستفيضةٍ تخدمُ النصَّ شروحاً وَتعليقاتٍ وَنقدا، وَأوجزَ في مدخله النقدي أهمَّ القراءاتِ التي تناولت "الكوميديا الإلهية".. على رأسِها قراءات بورخيس وَجاكلين ريسيه (الشاعرة الفرنسيّة التي استعان جهاد بترجمتِها كثيراً في عمله هذا). هذا المدخل الذي أجَّلتُ المُضيَّ فيه شغَفاً بالمتن، غير إني ما إن فرغت منه حتى وجدتني بأمسِّ الحاجةِ لقراءةٍ ثانيةٍ للكوميديا، ذلكَ أنَّ موجزَ القراءاتِ النقدية يُضئ جوانبَ في النصِّ يغفلُ عنها القارئ البسيطُ العابرُ – مثلي – إلى تخومِ المعنى، كما يعيدُ تعريفَ تجربتنا القرائية وَيوسِّعَ مداها. تنها جلدی که ساختار ادبی مناسبی داشت و توصیفات جالبی رو انجام داده بود فقط جلد دوزخ بود، که به گفته شوپنهاور تنها دلیل اینکه دانته موفق شد که انقدر خوب زجر کشیدن رو شرح بده این بود که تمام عذاب های ذکر شده نمود عذاب های موجود در همین دنیاست فقط به صورت مبالغه آمیز تر، به همین دلیل بود که نسخه برزخ ضعیف تر عمل کرد، و از اونجایی که نمیشد مقدار خوبی و تمام صفاتی رو که برای بهشت توصیف میکنن رو به واقعیت تبدیل کرد بدون اینکه دچار ملال بشن، جلد بهشت ضعیف ترین بخش از این سه گانه بود که فقط به نقل قول از شخصیت های مختلف که همراه دانته بودند می پرداخت از توصیف مستقیم بهشت سر باز میزد.یادمه 16 سالم بود این کتاب رو خوندم. I first read this poem four years ago as part of a dare. And by “dare,” I mean a professor listed it on the syllabus and I had to read it and then write papers about it. The next summer, I wanted to read it again on account of the graphic imagery of Inferno and Purgatorio. The punishments/reparations are mindblowing, scary, and beautiful. Everyone should at the very least skim Inferno. Particularly in Inferno, the political references are funny and provocative, and the historical significance of this epic poem is right up there with the Bible and Paradise Lost for me. Paradiso is far more abstract and sappy than the other books. I re-read all three last Fall because I’ve always felt attached to this work, and I figure you gotta read something at LEAST three times before you say its your favorite book. But yeah, this is my favorite book. It makes me want to learn Italian and read Dante’s Italian (and the whole part about him writing it in Italian instead of Latin pissed off so many people—again, the history of this piece is great). It makes me want to visit Italy. It makes me want to write something worth reading! I finished it! Someone, bring me my medal...the Inferno is Hieronymus Bosch with wordsA few caveats to this review: I am not a theologian, philosopher, medieval historian, Dante expert, nor astrologist. I am, however, a reader who wants to read "all of teh books" and I appreciate vivid imagery and interesting human interactions in fiction. I tackled the recent Clive James version of Dante's Divine Comedy--no footnotes or canto introductions here--because I just wanted to let the story wash over me, to see how much I could "get" on my own without knowing why Dante's father's baker's frenemy's ex-lover's dog-handler was sitting upside-down in the burning pitch in Hell. And when it comes to vivid imagery, the Inferno delivers. Surprisingly (to me), the Purgatorio was also fairly easy to follow, as Dante and Virgil continue up a ceaseless barren slope past the singing, self-flagellating sinners who do their time for various sins and, each time an angel wipes an ash-mark from their foreheads, become one level closer to heaven.From reading the inferno in high school I had recalled Dante as a sniveling, swooning sissy--but on this re-read found myself very much liking his sensitivity and sense of empathy, especially to many of the sinners in hell (well, as long as they are classical figures. If he knows them, he's more likely to go stomp on their heads). Guide Virgil has to chastise him numerous times to keep him from getting (understandably) emotionally mired in the horrors he witnesses. My favorite parts, besides perhaps the insult-throwing trident-wielding demons, were the back-and-forths between Dante and Virgil. Sadly, though, Virgil is barred from entering heaven, and in the third book Paradiso we are stuck with the so-nauseatingly-lovely-and-perfect-that-you-just-want-to-smack-her Beatrice. Regardless of this new guide, I found Dante's heaven as impenetrable as listening to someone describe an acid-trip. It struck me as a sort of renaissance-era Yellow Submarine (complete with its own Lucy in the Sky with Diamonds) though the incessant choral music wasn't quite as catchy.Lucy in the sky with DanteSeriously, I'm amazed at how similar this clip from Yellow Submarine is to the Paradiso! Watch it! *EDIT* Sorry, it looks like the Submarine link keeps breaking, so my apologies if it doesn't work. If I notice a problem, I will fix it! Should be working now, anyway. “Through me you pass into the city of woe:Through me you pass into eternal pain:Through me among the people lost for aye.Justice the founder of my fabric moved:To rear me was the task of power divine,Supremest wisdom, and primeval love.Before me things create were none, save thingsEternal, and eternal I shall endure.All hope abandon, ye who enter here.”There is no much one can say about this marvelous poem that has not been said before. One of the greatest epic poems to have been written, ever. The book is divided into three books, Inferno, meaning hell; Purgatorio, meaning purgatory; and Paradiso, meaning heaven. My favourite has always been Inferno, but Paradiso is highly underrated, as underrated as this brilliant work can possibly be.“The man who lies asleep will never waken fame, and his desire and all his life drift past him like a dream, and the traces of his memory fade from time like smoke in air, or ripples on a stream.” This is a basic view of the world as Dante knew it back in the 14th century, a human’s soul journey through hell, purgatory, and heaven.This poem mixes religion and science, everything from the most basic Christian Dogma to early Islamic astronomy, with a lot of his political views mixed in. At the time this work was being written, Dante was living in exile, he uses this work as a way to show his enemies and what he thought not only of figures of his time, but of historical figures in general, including Plato, Aesop, Alejandro Magno, Mary as well as legendary people, such as Abel, Diana, and Isaac. If one does not wish to read this simply because it is a long poem, read it for the historical view, so many interesting characters for history buffs. My favourite thing perhaps, was how he used his work to slam the people that harmed him, including Pope Boniface VIII, the man who exiled him. Basically, apart from this being a religious work, and a historical work, it is a big “F-you” to everyone he disagreed with him, or harmed him in any way, those parts were hilarious to me. I have a horrible sense of humour. Basically, read this poem, there is: Satan, angels, the circles of hell, philosophers in Tartarus, a reference to the Muslim conquest as “Dragon,” “the bird of Jove” attacking a church, a bunch of symbolism for “Reason,” unnecessary invocation of the Muses, Tristan and Isolde, many interesting murderers and a bunch of other cool stuff. الكوميديا الالهية هي ملحمة شعرية غنية عن التعريف , صادفتنا في المناهج الدراسية , في الروايات , في الافلام .وهي جولة الشاعر والسياسي الايطالي دانتي اليجيري في العالم السفلي , حيث كان اعتقادهم في السابق ان مركز الارض هو العالم الاخر . الملحمة تتألف من ثلاثة اجزاء , الجحيم , المطهر , واخيرا الفردوس و مجموع الابيات يفوق الـ اربعة عشر الف و ومئتين بيتاً و هذه الابيات تندرج في اناشيد , حيث يتالف الجزء الاول ( الجحيم من اربعة وثلاثون انشودة) بينما يتالف الجزأئين الاخرين من ثلاث وثلاثون انشودة . الجزء الاول - الجحيم يتالف من عدة حلقات كل حلقة مخصصة لفئة معينة من المذنبين , و يرى دانتي ان المحايدين يستحقون اشد العذاب يليهم الفاسقين و الشرهين و البخلاء وغيرهم من اعداء دانتي الذي يختار لهم حلقات و انواع من العذاب تتناسب ونظرته الشخصية لهم . الجحيم برأيي الافضل , ربما بسبب تكرار النمط في الجزأين الآخرين , او ان الاحداث والقصص فيه اكثر اثارة . المطهر هي المنطقة الوسطى بين الجحيم والنعيم حسب رؤية دانتي وفيها تشرق الشمس وتغيب , اي انه يوجد نهار وليل , يستأنف دانتي رحلته التماسا لضوء النهار ويتوقف ليلا, يتعب وينام وهكذا وهي مخصصة للكسالى , الاشخاص الذين لم تتح لهم فرصة التوبة الا في اللحظات الاخيرة , المتغطرسين , الامراء المقصرين في واجباتهم , البخلاء والمبذرين , النهمين , المنقادين خلف شهوات الجسد .و الفردوس يكاد النمط لا يختلف فيه عن الجزأئين السابقين , فهو مخصص لبايترشي والشخصيات التاريخية و معاصريه الذين لم يختلف دانتي وياهم بالافكار و او المصالح . تعكس هذه اللوحه الرائعه اضطرابات الوضع السياسي والديني في تلك الفتره , وسيطرة الكنيسه وفسادها انذاك لذا نرى دانتي يترنح بين الشاعر العاطفي الميال الى الرحمه وبين رجل الدين المتعصبالذي يحكم على من اعتنق دين غير المسيحيه بالعقاب في الجحيم , حتى وان كان نبيا -قبل او بعد المسيح- فهو يواجه هذا المصير.و هي تفسر سلوك الجماعات الدينية المتطرفة دينياً المشهورة هذه الايام , دانتي امتلك القلم فزج بخصومه في جحيم ابتدعه من خياله وخطه بقلمة , لو كانت بيده السلطه والسلاح لفعل ما يفعله الموجودين على الساحة هذه الايام . المفارقة المضحكة اننا نرى بعض الانبياء في الجحيم او المطهر , اولئك الذين سبقوا المسيح - او جاؤوا بعده- و بنفس الوقت نرى بعض الشخصيات المشهورة بالميثولوجيا اليونانية او الشخصيات الخيالية تنعم في الفردوس . كما اشرت ان ابيات هذه الملحة تفوق ال 14200 وهي غنية بالقصص و والاشارات المستمدة من الميثولوجيا او من ما عاصره دانتي , هي موسوعة غنية باحداث تاريخية عمرها الاف السنين , تحتاج الى دراسة وقراءة متأنية مطولة و بحث , لم اعطها حقها ابدا و قرأتها على عجل من باب الاطلاع لاغير.لم افهم الكثير من مقاصده واضطررت للبحث بين نسخة كاظم جهاد و حسن عثمان واحيانا بعض البحوث باللغة الانكليزية و مع ذلك فاتني الكثير , قرأتها في فترات متقطعه خلال شهرين و لم اعطها حقها ابدا . على الرغم من انتقاداتي الشخصية لافكار دانتي , و لدانتي شخصياً و تحفظي على بعض اجزاءها لكن لا يمكن نكران روعة هذا العمل الذي انجز قبل ما يفوق السبعمئة سنة بدون استخدام الانترنت مع فقر المصادر . ولا يمكن لنا ان ننسى ان الترجمة قللت من جودتها , فمهما كانت الترجمة جيدة لن تكون مثل النص الاصلي , عموما انصح بقراءة النسخة المترجمة من قبل كاظم جهاد . لوحه لـ ساندرو بوتوشيلي تجسد رواية دانتيالصور بحجمها الكبير>هنا* "يحدث غالباً ايها الاخ , أن يجبر المرءلكي يتفادى خطأً ما على فعل شيء كان ينبغي أن لا يقوم به "
I must confess that so much was beyond my comprehension; but I think that is the mark of a great work of art...it allows you to take what you can from it from where you are. I was so happy when I finished this book! Tengo dos razones por las cuales quise leer La Dinvina Comedia.1. Pretendo leer Inferno de Dan Brown en algún momento de mi vida y me parecía irrespetuoso (¿?) no leer la obra en la que fue basado antes.2. Porque soy una friki cuasi gamer y sí, me gusta Devil May Cry *la echan de GoodReads* Resulta que en la saga de videojuegos hay bastantes simbolismos con respecto a La Divina Comedia, y cada uno de los nombres de los personajes se corresponde con alguna que otra aparición dentro de la novela. Como obvio no pude quedarme cruzada de brazos ante la curiosidad, me dije "Bueno, si un videojuego me hace leer, bienvenido sea". Las razones son estúpidas, pero no me arrepiento.Me alegra tener también ciertos conocimientos previos a la lectura de este libro. La verdad que la edición que me compré ayudó muchísimo. Está escrito en prosa y contiene numerosas aclaraciones al pie de las páginas que me detallan todo mejor (por supuesto que con el tiempo se volvieron medio molestas, porque como que interrumpen la lectura). El prólogo de Jorge Luis Borges también está muy bonito. Antes de leer La Divina Comedia, recomendaría un par de cosas:•Tener mínima idea de los planteos de Platón y Aristóteles•Haber leído al menos uno de los libros de Platón (recomiendo El Banquete, es uno de los más fáciles y llevaderos), pues la manera de escribir y de plantear las cosas de Dante me fueron muy parecidas a las de él•Gustar mucho de la mitología y saber de antemano las diversas leyendas y los diferentes nombres con los que se conocieron a los dioses griegos/romanos•Haber estudiado algo de Catequesis en el colegio, o tener algún conocimiento de la Biblia, ya que hay demasiadas referencias a los sucesos del Nuevo y Antiguo Testamento. En fin, creo que no es un libro para cualquiera. Sinceramente no esperaba encontrarme con nada, así que todo fue novedoso. No digo que se haya vuelto denso, sino que repetitivo. Canto tras canto Dante va conociendo personas y personas que narran sus experiencias y vos estás ahí diciendo "¿Yyyyy amigo, para cuándo algo?". El tema de los círculos tanto en el Infierno como en el Purgatorio era lo que más me interesaba y por lo que La Divina Comedia más es conocida. El Paraíso me sorprendió, no esperaba que estuviera dividido de esa forma. Me encariñé demasiado con Vergil. Digoooo, el poeta Virgilio. Y con Dante. Bastante. Me puso un poco nerviosa la cantidad de veces que Dante mencionaba la belleza inmaculada de Beatriz, pero supongo que se lo puedo perdonar. En fin, nada, eso, vayan a jugar los videojuegos. EEEEH a leer el libro. I am so glad for the Divine Comedy and Decameron group for providing the structure and encouragement which provided the impetus for my finally reading this classic! I am also very pleased that I decided to read John Ciardi's translation as his synopsis and notes added immeasurably to my reading. While personally I found Dante's travel's through Hell occasionally difficult, the Purgatorio and Paradiso (except for the first few scholarly cantos) flowed with beautiful poetry. And through it all, Dante maintained his amazing, and consistent, vision.No wonder this has stood the test of time. El autor manda a todos sus enemigos al infierno, conoce a su ídolo y la chica que ama finalmente lo pesca. Lejos el mejor fanfic que he leído. 100% recomendado. What can one say about The Divine Comedy that hasn't been said? An analysis? Many scholars have already done that — and quite outstandingly, I must say, to a degree that I would never achieve. A funny meta review of sorts? It's already been done. So I guess it's like Solomon said and there's no new thing under the sun about this masterpiece: it needs no explanations about its grandeur and it does itself justice.My only remaining words would be an endorsement upon this edition published by Oxford University Press, translated by C. H. Sisson. Regardless of the translation's unpopularity, it's absolutely well done, in blank verse, and the explanatory notes were completely helpful for me, since even though I knew many of the works to which Dante makes reference throughout the cantos (such as Ovid's Metamorphoses or Virgil's Aeneid or even The Bible), there were many other authors, political and pontifical personages, and works that I didn't. Furthermore, Dante, besides his undeniable mastery as a poet, was also somewhat of an astronomer, a theologian, a philosopher; so some of his verses can be quite obscure without proper guidance. For me, this edition provided me with everything I needed to know in a 200-paged section of explanatory notes. As I read a canto, I read the corresponding notes: a technique I took from one of Borges's stories. Then as I moved forward in the book I understood that Dante was a virtuoso in poetry, but as I read the notes and came to understand some lines that seemed as nothing more than metaphors that were part of the poem, I knew every single one of them is there for a reason, written by an author who was a genius indeed. How in the World (or Inferno or Purgatorio or Paradiso) am I supposed to review this work? I could review the edition and translator, though I have nothing else to compare them against. Ciardi's notes at the end of each canto are always illuminating, sometimes funny and occasionally self-deprecating. I chuckled at his humor (sharing those particular notes with my husband) and was appreciative of Ciardi's honesty whenever he used a rhyme-forced addition, as well as the instance or two when he asked the reader to forgive his less-than-perfect poetry. He's both thorough and entertaining.Use any adjective you'd like and it's bound to fit at least one part of Dante's work: condemnatory, fearful and exuberant; horrific, trepidatious and jubilant; political, personal and universal: there's really no point in my going on, especially now that I've used three sets of three.I'd love to know what kind of person Dante became after finishing this work. He had to be changed in the course of its writing; it would be sad (and too human of him) to think otherwise. Dante Alighieri David H. Higgins C.H. Sisson - Dante Alighieri, or simply Dante (May 14/June 13 1265 – September 13/14, 1321), is one of the greatest poets in the Italian language; with the comic story-teller Boccaccio and the poet Petrarch, he forms the classic trio of Italian authors. Dante Alighieri was born in the city-state Florence in 1265. He first saw the woman, or rather the child, who was to become the poetic love of his life when he was almost nine years old and she was some months younger. In fact, Beatrice married another man, Simone di' Bardi, and died when Dante was 25, so their relationship existed almost entirely in Dante's imagination, but she nonetheless plays an extremely important role in his poetry. Dante attributed all the heavenly virtues to her soul and imagined, in his masterpiece The Divine Comedy, that she was his guardian angel who alternately berated and encouraged him on his search for salvation.Politics as well as love deeply influenced Dante's literary and emotional life. Renaissance Florence was a thriving, but not a peaceful city: different opposing factions continually struggled for dominance there. The Guelfs and the Ghibellines were the two major factions, and in fact that division was important in all of Italy and other countries as well. The Pope and the Holy Roman Emperor were political rivals for much of this time period, and in general the Guelfs were in favor of the Pope, while the Ghibellines supported Imperial power. By 1289 in the battle of Campaldino the Ghibellines largely disappeared from Florence. Peace, however, did not insue. Instead, the Guelf party divided between the Whites and the Blacks (Dante was a White Guelf). The Whites were more opposed to Papal power than the Blacks, and tended to favor the emperor, so in fact the preoccupations of the White Guelfs were much like those of the defeated Ghibellines. In this divisive atmosphere Dante rose to a position of leadership. in 1302, while he was in Rome on a diplomatic mission to the Pope, the Blacks in Florence seized power with the help of the French (and pro-Pope) Charles of Valois. The Blacks exiled Dante, confiscating his goods and condemning him to be burned if he should return to Florence.Dante never returned to Florence. He wandered from city to city, depending on noble patrons there. Between 1302 and 1304 some attempts were made by the exiled Whites to retrieve their position in Florence, but none of these succeeded and Dante contented himself with hoping for the appearance of a new powerful Holy Roman Emperor who would unite the country and banish strife. Henry VII was elected Emperor in 1308, and indeed laid seige to Florence in 1312, but was defeated, and he died a year later, destroying Dante's hopes. 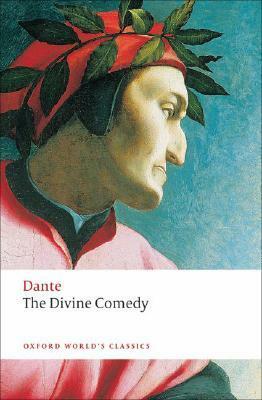 Dante passed from court to court, writing passionate political and moral epistles and finishing his Divine Comedy, which contains the Inferno, Purgatorio, and Paradiso. He finally died in Ravenna in 1321.